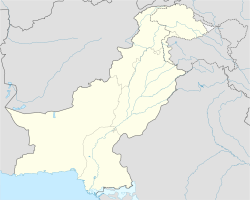 Talagang Tehsil (Urdu: تحصِيل تلہ گنگ‎), is a subdivision (tehsil) of Chakwal District in the Punjab province of Pakistan. The tehsil, which is headquartered at the city of Talagang, is administratively subdivided into 23 Union Councils. The tehsil is home to speakers of the Awankari dialect of Hindko. This article about a location in Chakwal District, Punjab (Pakistan) is a stub. You can help Wikipedia by expanding it. This page was last edited on 12 June 2018, at 07:38 (UTC).